Hidden among the shadows in the midst of the apocalypse lurks a new hunter. Armed with only training and the 3 Piece Biohazard Apocalyptic Ninja Kunai, this warrior of the night waits for the perfect opportunity to weed out the horde. Forged from blackened 440 stainless steel, this impeccable set of ninja throwing weapons combines the traditional shape of a kunai with the modern elements of the zombie apocalypse. 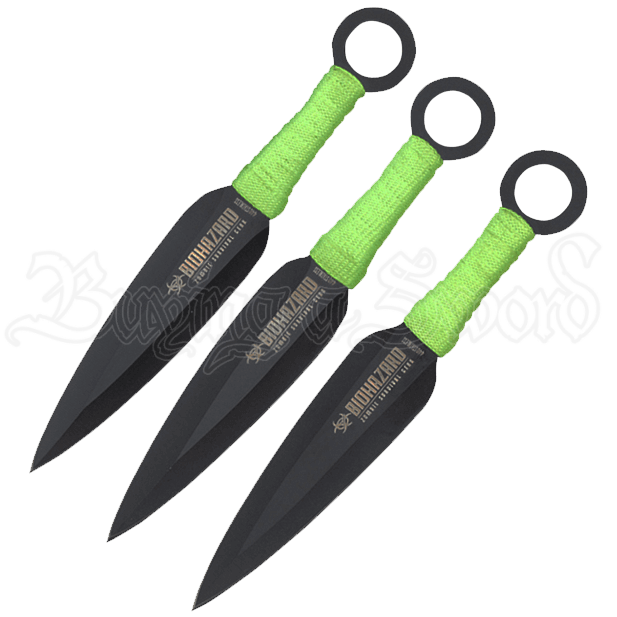 This trio of throwing knives are each wrapped in nylon cord, the vibrant green color reminding their wielder to fight for survival. When their purpose is not needed, a wise shinobi will tuck the blades away in the durable nylon sheath they come with. 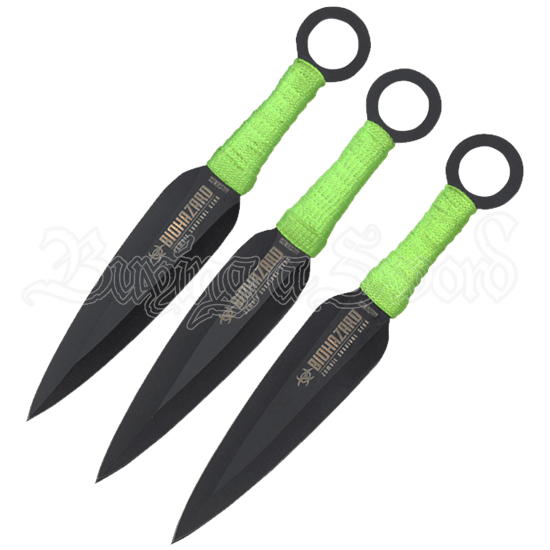 Whether hunting zombies, weeding out the competition, or improving your skill through practice, no ninja is set for his or her mission without the 3 Piece Biohazard Apocalyptic Ninja Kunai!